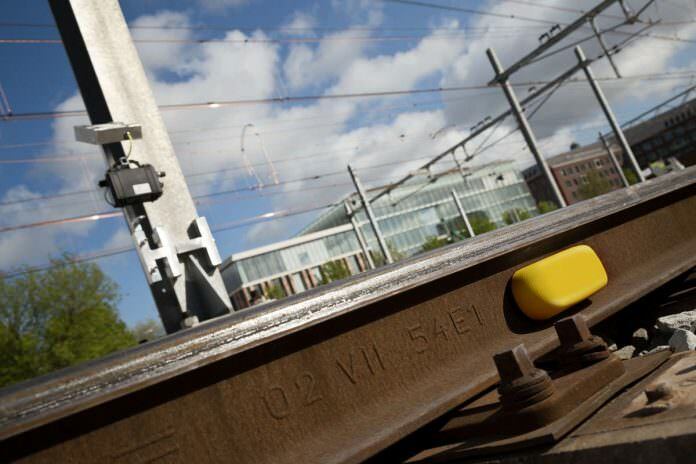 Government-owned maintenance company ProRail has ordered 2,000 Internet of Things (IoT) sensors from Strukton Rail company Dual Inventive to monitor railway infrastructure assets. The sensors will be rolled out in the coming months in the Netherlands. Strukton said that 1,500 sensors will be installed on points with point heating – which have a temperature gauge to verify whether the heating is working to prevent snow or ice from blocking points or detect expanding rails – and 500 sensors will be used for other rail systems including barriers and catenaries. It is hoped the systems will improve the availability of the railways for train traffic. ProRail and mobile telecommunication firm KPN conducted tests with IoT sensors at point heating systems at Utrecht Central station two years ago. Following positive results, the railway manager decided for a nationwide rollout of 1,500 sensors for point heating monitoring. ProRail’s Infra Availability manager Johan Schaap said: “We want to gain experience with the application of new technology such as sensors. “The sensors will be available for the four maintenance contractors that are active in the performance oriented contract areas in the Netherlands. This is one step made by ProRail in the digitisation of the railways and the use of big data. Dual Inventive managing director Lex van der Poel added: “We are pleased to contribute to the digitisation of the Dutch railways. “We have 10 years of experience in the application of IoT technology in the rail industry.